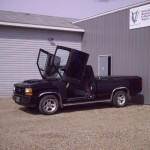 YOU DREAM IT - WE BUILD IT! 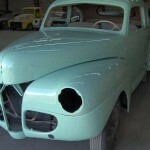 VC Customs performed a complete restoration including hand fabricated lower 1/4 panels and dog legs. 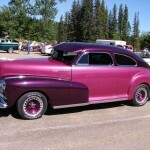 This car has won many awards including Peoples Choice. 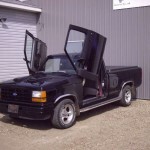 VC Customs installed these custom vertical doors. 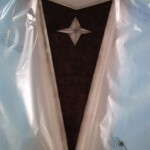 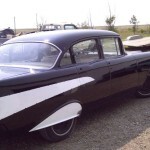 VC Customs painted this Chevy Black & White with a splash of Carizzma Artic Ice metallic. 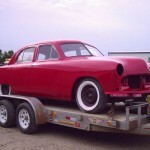 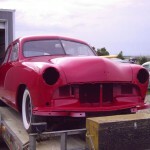 VC Customs painted this shoebox bright red, the car features a Flathead V8, 3 speed. 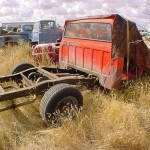 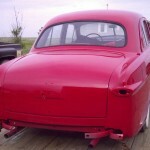 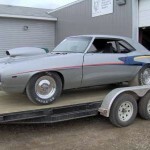 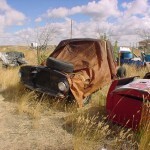 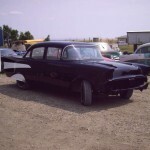 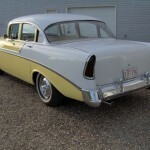 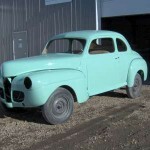 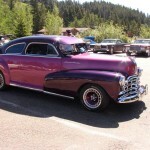 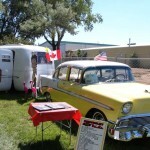 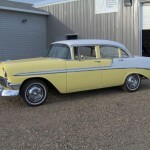 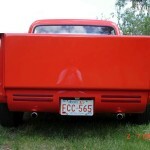 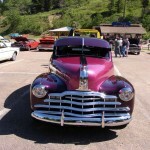 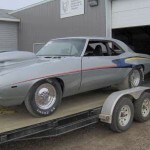 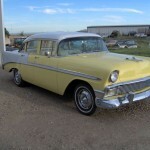 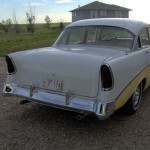 This all original coupe belongs to Gordon Dewhirst of Colahurst, Alberta. 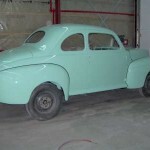 The color is a light jade. 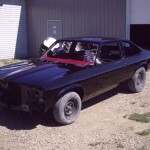 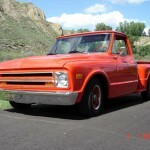 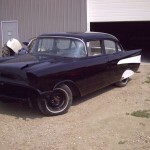 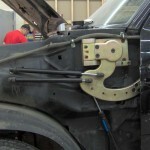 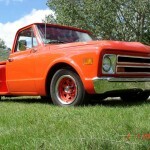 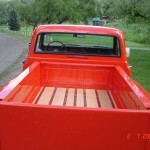 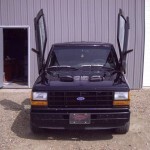 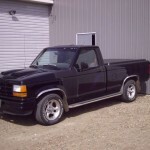 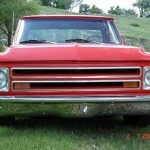 350 Chev, 700R4 Trans, Bel-tech lowered, Custom roll-pan, Oak bed. 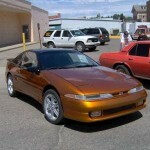 The colors on the car are medium dark aubergin and iris metallic. 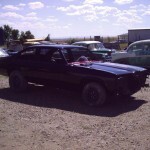 The car runs a V8 with an automatic transmission. 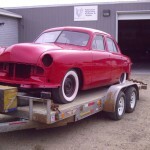 VC Customs painted this car black with a twist of red pearl to give it a red flash. 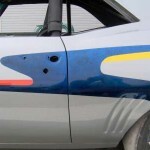 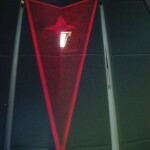 This car also features a custom air-brushed Pontiac emblem on the center of the hood with a marbleized effected around the center of the emblem color with candy red from carizzma. 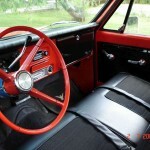 The car is equipped with a 350 V8 (400 hp) and automatic transmission. 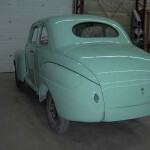 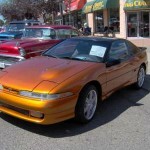 VC Customs applied the custom Candy Orange paint (Carizzma from BASF) to this car.